Today at the UN Climate Summit in Cancun, the Canadian Boreal Forest, the Athabaska River, pollution permits, and valuable salmon stocks are for sale, all tax free! 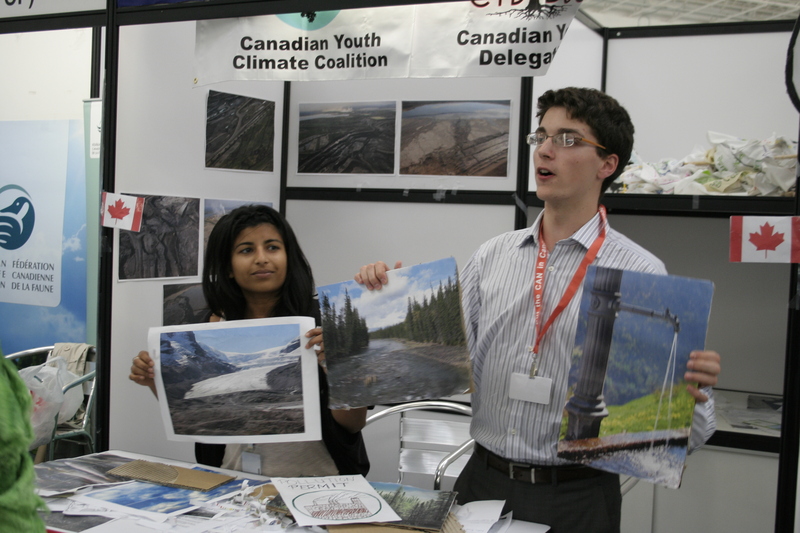 At the conference’s Young and Future Generations day the Canadian Youth Delegation, along with youth from around the world, is demonstrating that their future is up for sale. 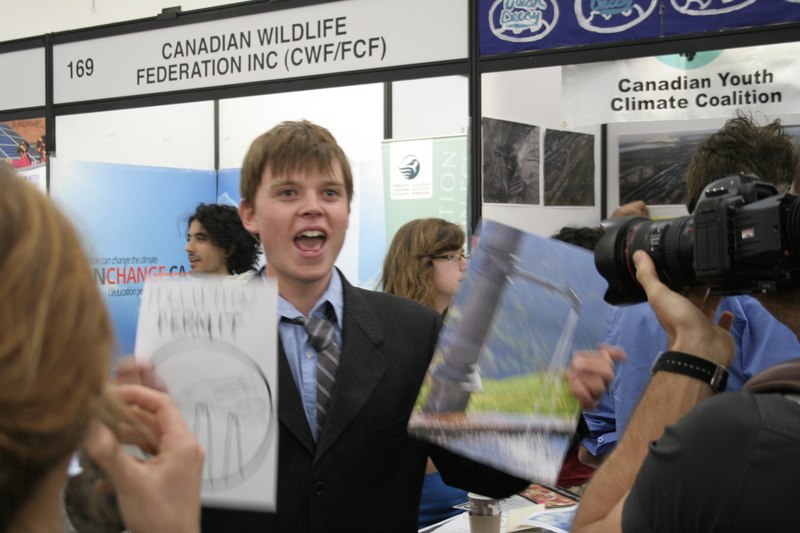 Dressed as government leaders, they will be ‘selling’ Canada’s natural ecosystems to private buyers. “Indigenous rights, fresh water, and clean air, all for the price of one!” They are satirizing the sale of the world’s natural and common resources as commodities available for corporate destruction. Other booths in the carbon market are selling the survival of Pacific Island Nations, the integrity of ancient Redwood forests, and structured carbon investment vehicles to haul it all home.